Dextromethorphan (DXM) is a dissociative and hallucinogenic drug which is commonly found in cough medicine; its widespread reputation among popular culture and in some sections of drug culture is that it is a drug of convenience, used only by teenagers without access to illicit drugs, taking advantage of their ability to purchase it over the counter in a pharmacy or order it online. However, among some sects, DXM is respected as a powerful and complex psychedelic which can produce experiences wholly different yet similar in worth and intensity as the more traditional hallucinogens. DXM was originally researched in the 1950s by the US Navy and the CIA in an attempt to discover a non-addictive alternative to codeine – which was commonly used in cough suppressant medicines at the time. Following positive evidence of its efficacy as a cough suppressant it was approved by the FDA in 1958 and was sold widely. Originally sold in tablets of pure DXM, it was widely abused most notably by Beat generation authors and poets (such as Jack Kerouac). 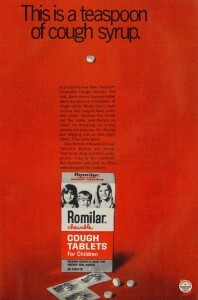 The public’s knowledge of its potential for abuse increased over time and the original brand of DXM, named Romilar, was taken off the shelves in 1973 after a large burst in sales due to recreational use. It was subsequently replaced with syrup, and since then, many brands of cough suppressant containing DXM added ingredients to give a nasty taste if too much was ingested, or went as far as including dangerous chemicals such as acetaminophen and guifanesin to discourage abuse, though brands containing only DXM as an active ingredient remain available to this day. Due to its relative ease of access for those too young to legally drink, it is commonly used by teenagers in Europe and America as an alternative to alcohol – and at a certain dosage range DXM does produce an experience similar to that of alcohol intoxication: a mild buzz, social and emotional enhancement, pleasant loss of coordination. However, transgressing this rather tenuous ‘sweet spot’ dosage range can quite easily lead to a much more powerful and entirely hallucinogenic experience, completely unlike alcohol and closer to the likes of Ketamine or LSD. For this reason, and because younger users are often under and misinformed about the drugs they are taking, DXM is fourth in the list of drugs for which help is most commonly sought on TripSit. DXM is also unique in the realm of hallucinogens in that for those in the know, it is almost ubiquitously discussed and dosed in terms of a single cohesive conceptual framework and theory: the plateaus. Unlike other hallucinogens, be they psychedelic or dissociative, it does not suffer from the existence of an entire universe of diverse individual theories so varied that the different aspects of the drug cannot be easily represented to a wide audience through anything other than abstract dosage ranges named such as ‘Light,’ ‘Common’ or ‘Heavy;’ it is curious that this idea of the DXM ‘plateau’ is so agreeable among the large community of DXM users, among psychonauts for whom the personal conception and experience of ideas and thought frameworks is paramount. 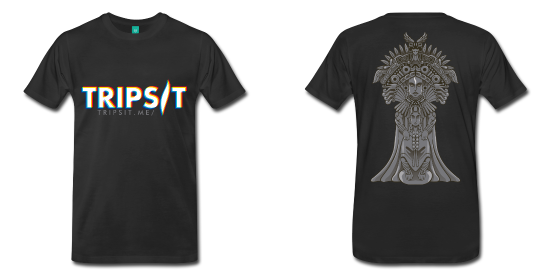 These plateaus describe four distinct levels of experience which can result in using DXM at different levels of dosage, which range from a light buzz similar to alcohol, to an all-encompassing breakthrough dissociative experience out of this universe. This range of potential experiences characterises DXM as a dense and complicated drug, which many users dedicate themselves to exploring. The first and second plateaus are similar, and their effects include mild stimulation, euphoria, mild visual distortions, and social enhancement – these plateaus are often used in social situations such as parties as a replacement for alcohol. Increasing the dosage further and reaching the higher plateaus provides a totally different and in many ways opposite experience: reaching the third and fourth plateaus, stimulation is gone, socialising is less possible and overall undesirable, and strong hallucinations take place. Such trips can be terrifying to people who are not psychologically comfortable and prepared, which is a trap those intending to use at a lower plateau often fall into when they don’t pay close attention to dosing. The third context in which DXM is frequently used is, of course, as a thoroughly effective cough suppressant – so effective in fact that despite its high potential for abuse it has remained widely available and unreplaced! Read more about DXM on the TripSit Wiki.